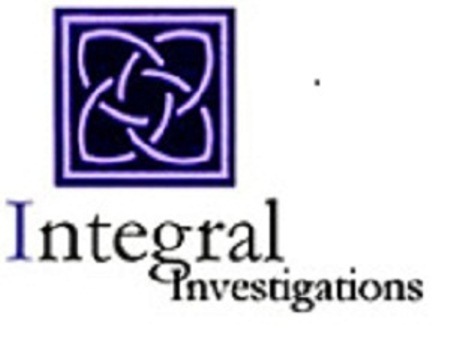 Hiring the services of a private investigator isn’t an easy decision; it is often a last resort. Whether trying to catch a cheating spouse or look into the background of a potential business associate, it takes a great deal of sensitivity and professionalism to deal with such cases and the client places an enormous amount of trust in the private investigator. These frequently asked questions should provide readers with an insight into some of the issues that have to be considered very carefully before trying to catch a cheating partner. This is one of the most common concerns when thinking about hiring a private investigator, especially when attempting to catch an adulterer. If a secret affair could be described as duplicitous and deceitful, then how would we describe the act of secretly employing an investigator to watch their every move? Unfortunately, cases in which initial suspicions prove true account for the vast majority of matrimonial investigations, well over 80% In these cases, there is hardly a moral case to argue. Often, the suspecting spouse has given the cheating partner every opportunity to admit their affair, choosing only to turn to the help of a private investigator when the cycle of suspicion and denial continues again and again. But that doesn’t make the decision to hire a private investigator any easier – it is one of the hardest things you will ever do…… but once you have made that first call you will find a weight lifted off your shoulders. In cases when actions can be explained innocently, the moral and ethical case can seem less clear. But finding out that initial suspicions are unfounded can also bring long lasting peace of mind. In these cases the suspecting party may choose to tell their loved one which aspects of behaviour caused suspicion in the first place, spurring them on to change their ways and help re-establish trust within the relationship. What steps can I take myself before hiring licensed private detective? If you are reading this article, the chances are that you already have strong suspicions that your partner is having an affair and feel that hiring a private investigator might offer a solution. But how can you be sure that you’ve taken every step to offer your cheating partner to come clean? Confronting your partner may be enough to either confirm or allay your suspicions. However, if you still have doubts, it’s time to call in the experts. The other side of this point is that if you confront your partner before investigating the issue, then they have just be made aware that you are suspicious in the first place and this may impede a surveillance investigation in the long run. What if my partner finds out I had them followed? When attempting to catch a cheating partner it is imperative to choose the best private investigator for the job. An experienced private investigator will have all the necessary experience and know-how to carry out surveillance effectively and discretely without compromising the client. Choosing the right private investigator is one of the most important factors that will determine your success. You already know the answer to that question. Finding out the truth can be one of the most devastating and heartbreaking moments that life can throw at you. For some couples the damage is irreversible but others learn to work through their differences, emerging from the ordeal stronger and with a renewed sense of commitment.